Getting exclusive mixes for Core News has been a goal for me in 2010 and now I can proudly present the first ever Core News Mix. 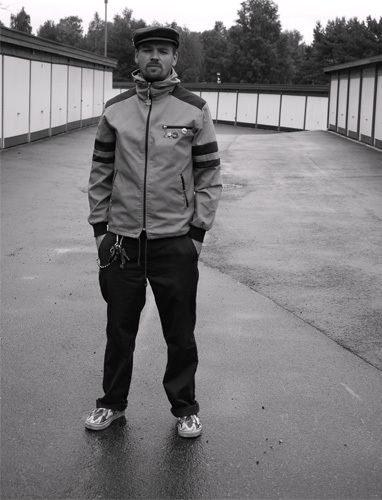 The guy who kicks things off is DJ WOO (Myspace, Soundcloud) from Bergen, Norway. I first heard him when Kid 606 played in Bergen where WOO played at the same gig. I had to thank him for playing my favorite tune at the moment: Aaron Spectre – Look out fi liar. Over the years I’ve seen him several times in Oslo where he plays some amazing sets that get the dancefloor moving like mad. For Core News he has made a hard hitting darkstep mix with tons of bangers. WOO has also promised to make a dubstep mix for this blog so stay tuned for more good WOO selections. If you are interested in doing an exclusive mix for Core News please use the contact form. An excellent addition to the website!